With the Soft Spot series we will unleash the tender yet ecstatic potential of Ankali. Kicking off the series is one of the most respected German house producers of today. 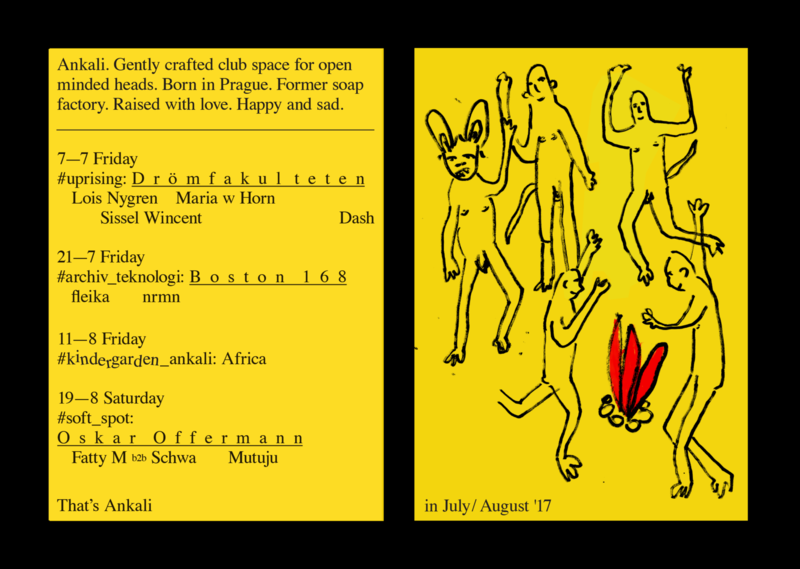 Oskar Offermann is a key figure of the recent German resurrection of Deep House. Following the decline of cool-headed Minimal techno in the late 00s, a whole new scene emerged that brought warmth and delicacy back into the spotlight. Along with Drumpoet Community, Dial and Smallville, the Berlin-based label White Records run by Offermann provided some of the most important records of the era. Meanwhile his profile grew steadily due to numerous memorable dj sets and two carefully crafted albums released on Mule Musiq. As a Dj, Offermann has been regularly working the decks at Panorama Bar in Berlin or Robert Johnson in Offenbach. It is no surprise that his extended sets often seduce the dancers with a trippy upbuilding selection of subtle grooves and light-headed melodies – a perfect match with our affection for anything hypnotic. Three local selectors will be warming up the floor and closing the night. Schwa and Fatty M are one of the most noticeable djs in the area. Their promotional activities with the Komiks crew introduced such names as Tom Trago, Recondite, Kink, and recently San Proper and Makam to the local audience. Wrapping up the lineup is Mutuju with a singular selection of US House, Afro-tinged beats and disco-inherent trax.